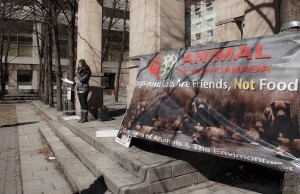 Shared by Animal Action Canada. 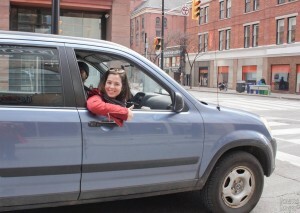 Click HERE to see the photos from Vanessa Simone’s Facebook page. 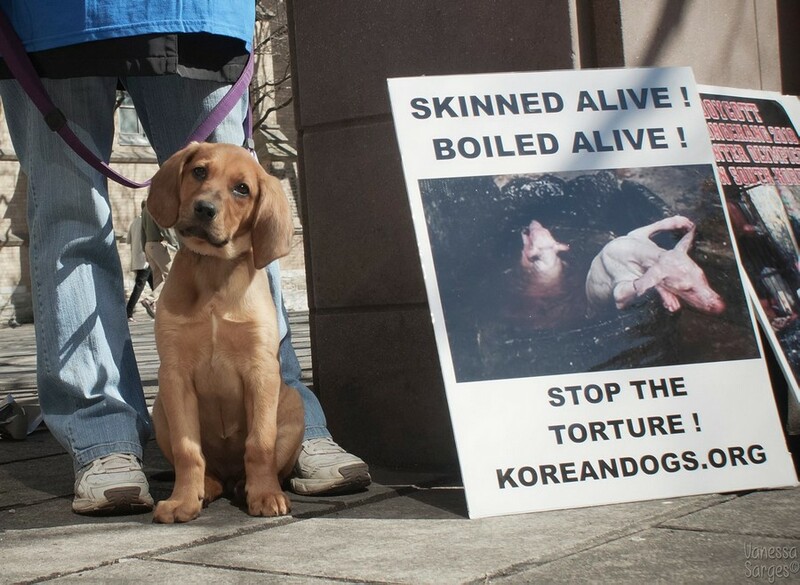 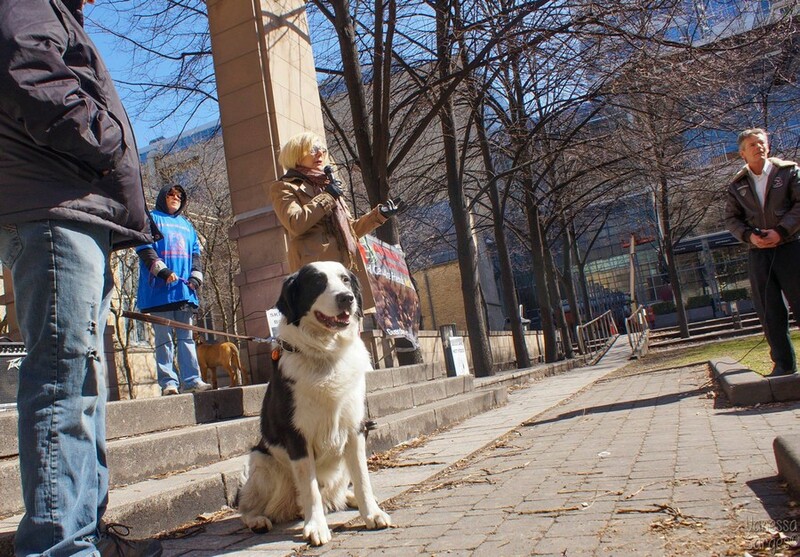 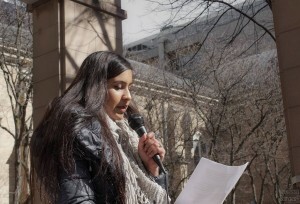 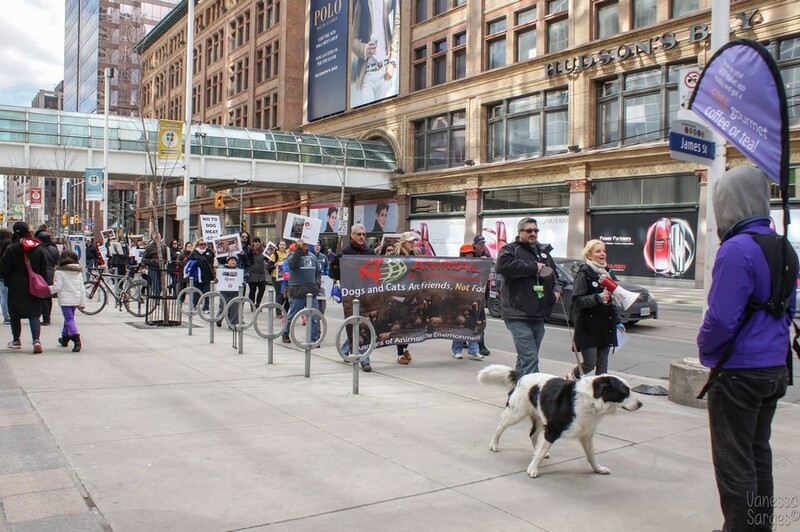 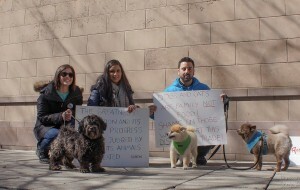 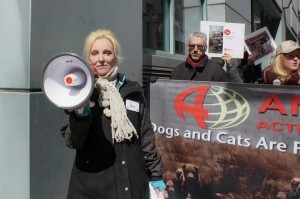 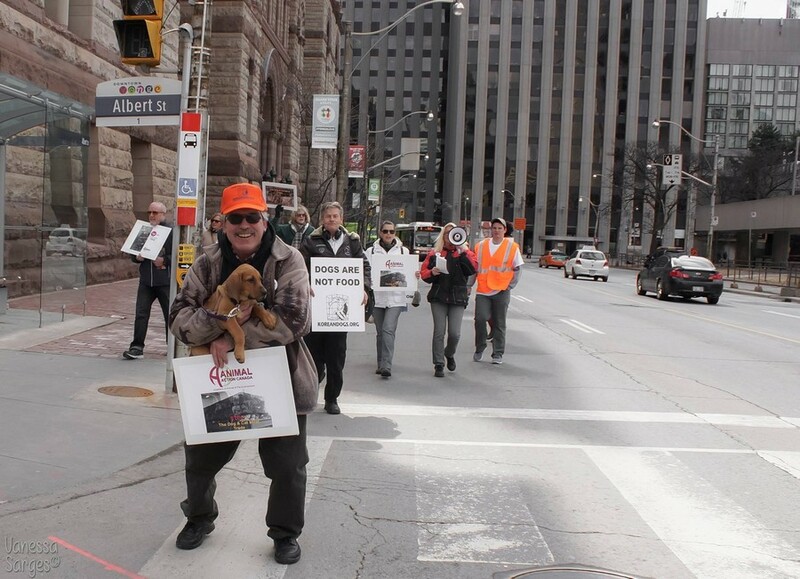 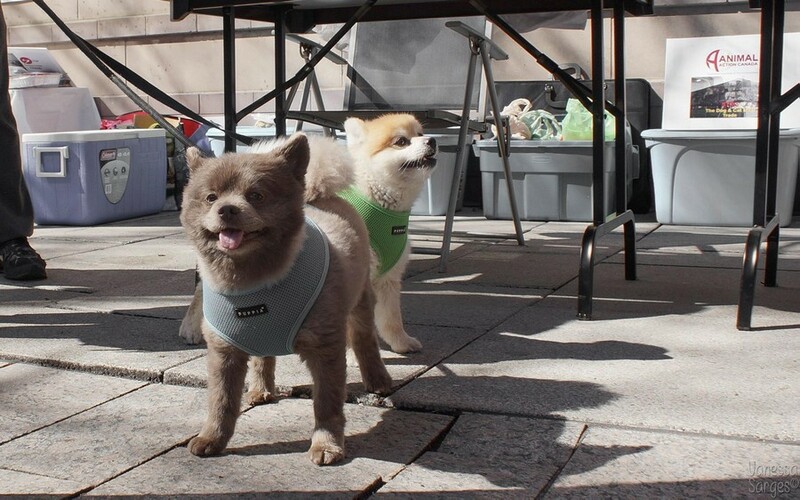 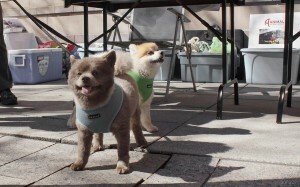 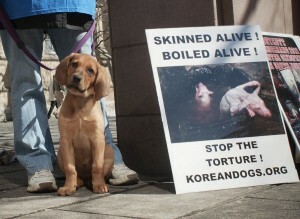 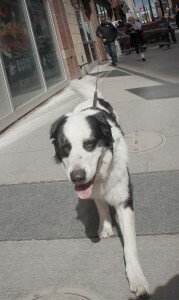 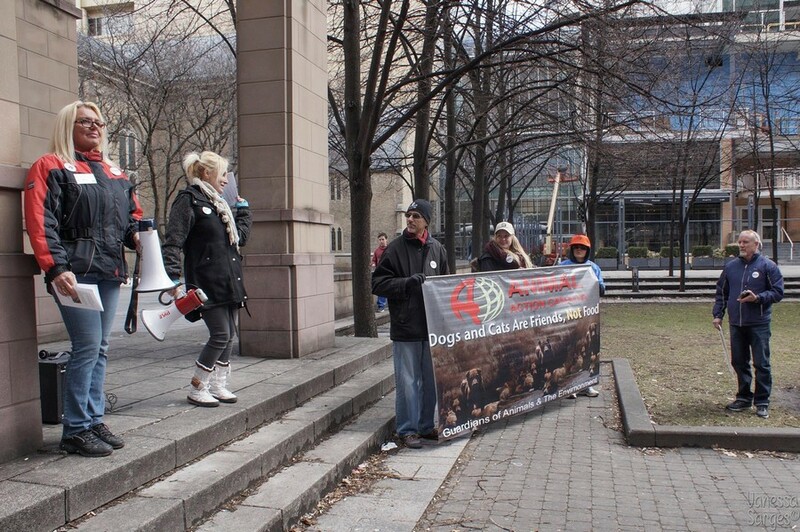 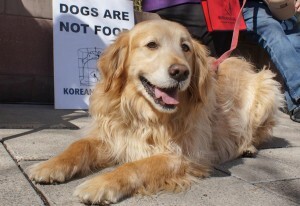 On April 4, 2014 a march was held at the Bell Trinity Square in Toronto, Ontario to raise awareness to the growing number of dogs and cats consumed around the world. While many of us are aware that it is not uncommon for dogs and cats to be considered food in other parts of the world – less people are aware that they are considered food in Canada too. 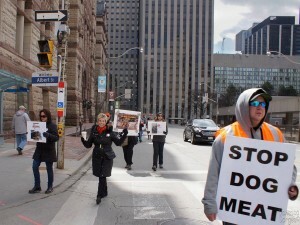 That’s right – it is perfectly legal to sell and consume dog meat in Canada. Animal Action Canada is here to change that. The march yesterday garnered media attention, and the attention of local politicians, and helped to raise awareness of the plight that dogs and cats face around the world and in our own backyard. 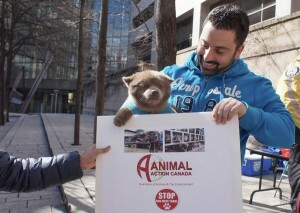 Click HERE for Victory for Animals. 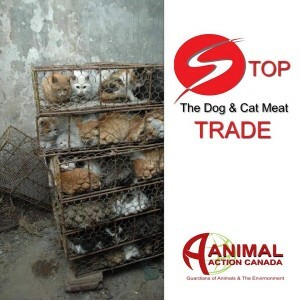 Click HERE to read It is Legal to Consume Dogs and Cats in Canada by Paws for the News! Thank you, Animal Action Canada for speaking out against the horrible cruelty of dog and cat meat trade! 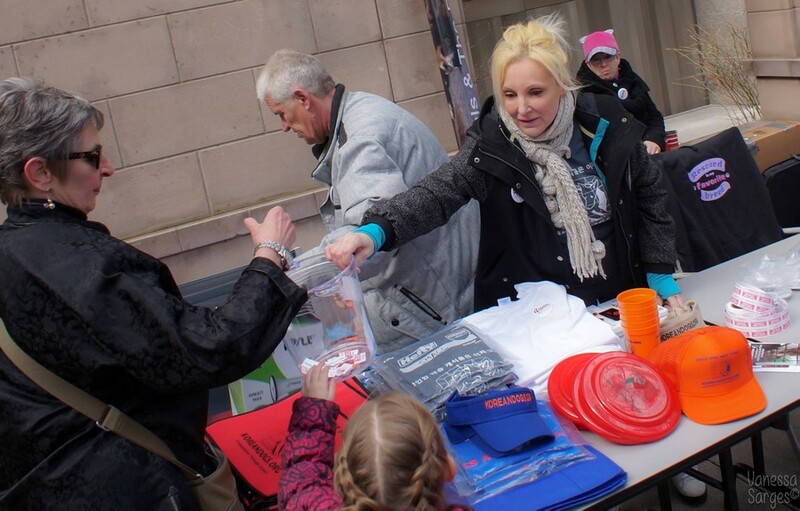 Shelley Craig giving out campaign freebies to supporters. 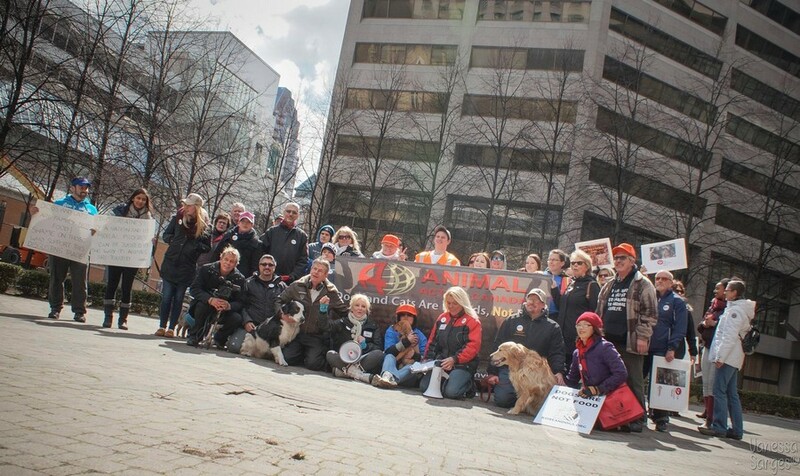 Thank you, Shelley! 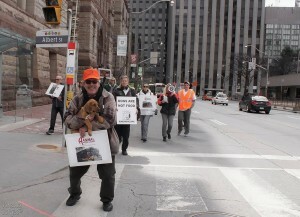 And thank you, Bob Heisler for providing us with all the campaign freebies to hand out. 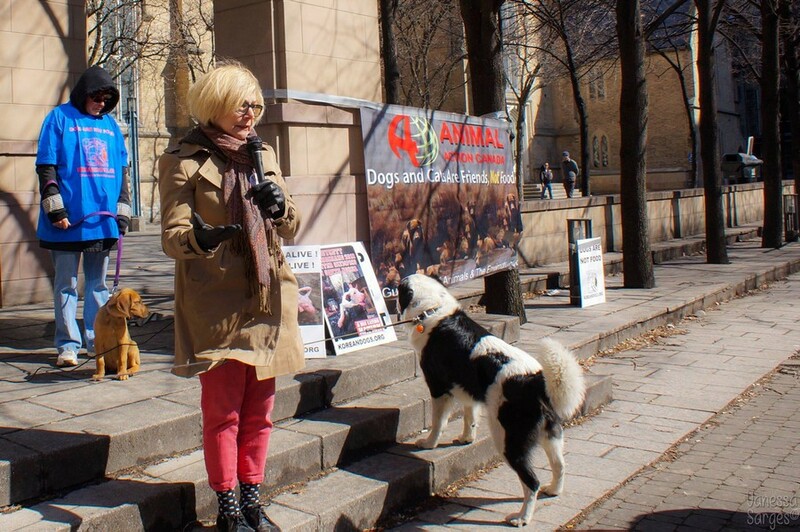 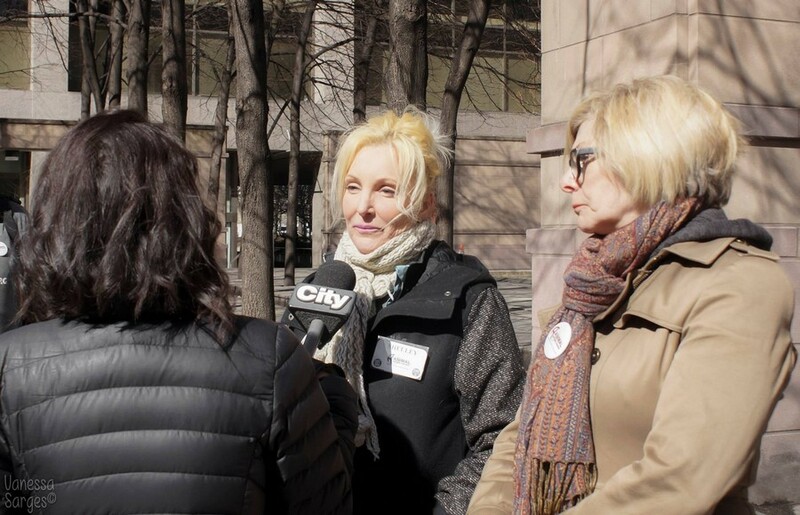 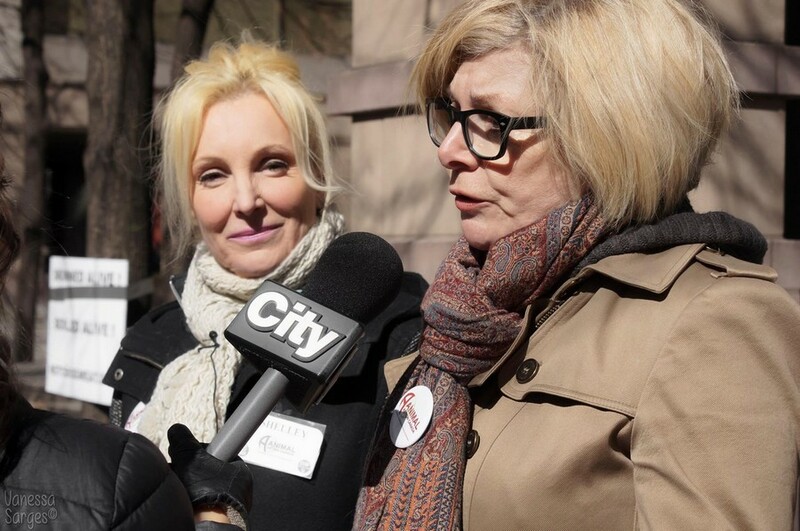 Member of Provincial Parliament (Ontario) Cheri DiNovo will be reading the petition to end dog and cat meat in Canada in the Legislation of Ontario.